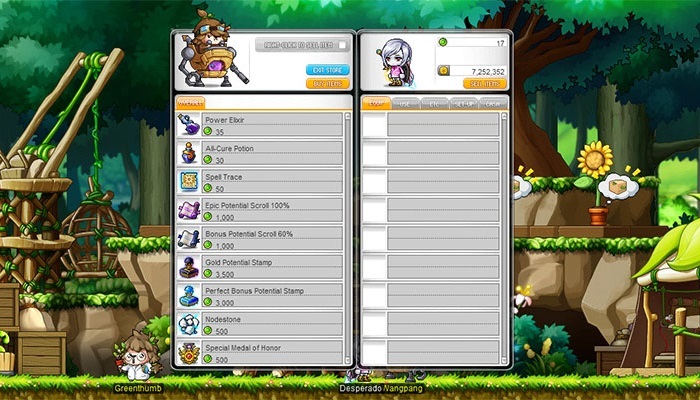 [Update] Growing Gold Event | MapleStory | Dexless, Maplestory Guides and More! 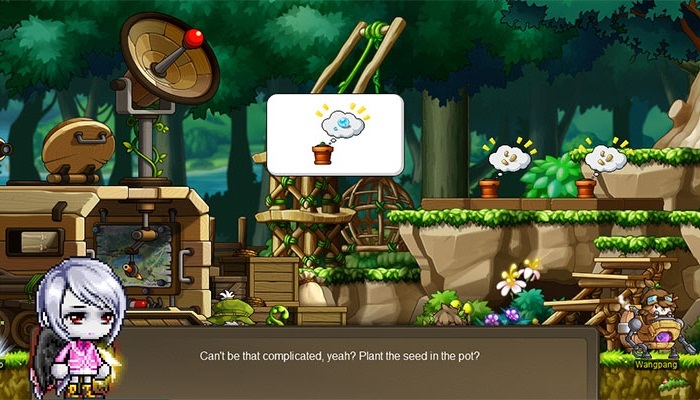 Discussion in 'Maple Updates' started by Nexon, May 11, 2018. Spring is here, which means it’s a great time to do some gardening! On Halflinger Farms, this means planting Golden Trees. Players Lv. 33 and above can begin by accepting the quest ‘[Growing Gold] Complete the Farm’ to start the tutorial. After learning the basics from the Halflingers, you’re ready to grow your own plants! Plant seeds in pots and give them dew to help them grow. Hunt monsters within your level range (20 levels below and 20 levels above) to acquire dew. Water your plant well so that it grows big and strong. Once your plant is fully grown, it’s ready to harvest. Harvesting plants rewards you with Research Coins and Golden Leaves. You can receive different seeds and use more pots depending on your plant management rank. Your rank increases once you have grown required number of plants in a given rank. A higher plant management rank also means you can earn more Research Coins each day. Collect Golden Leaves from your harvest and give them to the Golden Tree. There are 5 stages of tree growth, each one requiring more Golden Leaves to complete. Watch as the trees turn a beautiful shade of gold, signaling it’s time for harvesting! 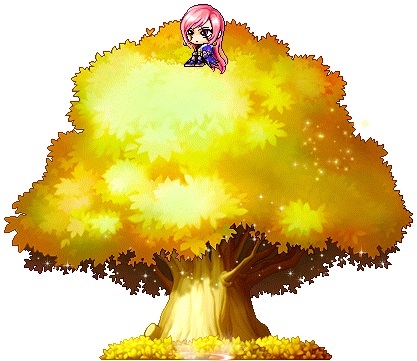 When the tree is completely gold, you can receive the Golden Tree Chair. 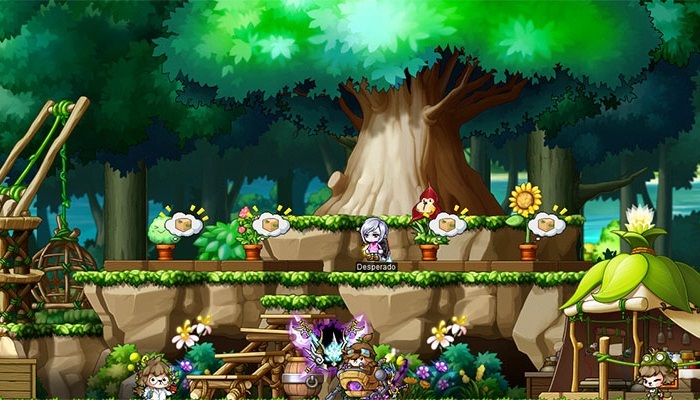 Sit on it in Spring Valley during the event period to increase your Charm by 1 every 10 seconds (up to 100 Charm a day). This ability lasts for 5 days. After that time, the ability to increase your Charm disappears but the chair remains. 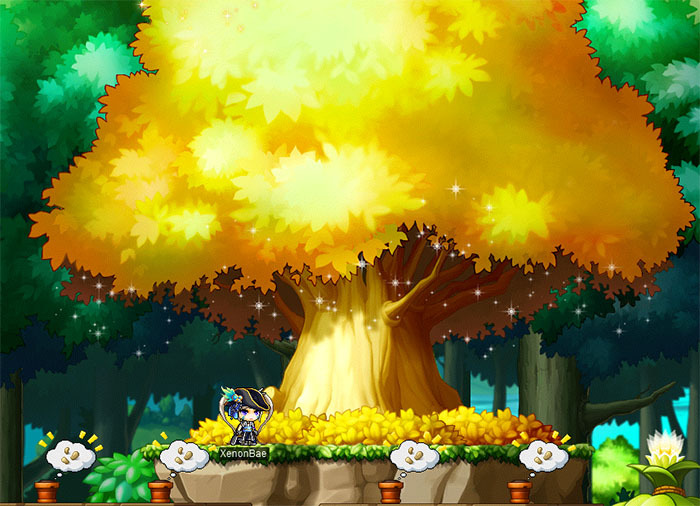 You’ll earn additional rewards at each stage of the Golden Tree’s growth. These rewards can be earned once per world. Stage 1 – 3x EXP Coupon: Gives 3x EXP for 15 minutes. Stage 4 – Golden Tree Medal: Req. Lv: 33. STR/DEX/INT/LUK +10, Weapon ATT/Magic ATT +8, Boss damage +2%. As you progress, you’ll obtain Research Points. Visit the shop to exchange your points for rewards including restorative items, Spell Traces, Epic Potential Scroll 100%, Gold Potential Stamp, Nodestones, and more. Strive to reach each plant management rank and harvest lots of plants to earn achievements! You’ll be rewarded with a varying number of Research Coins.